After focusing on a silent old stone in a wall up Holgate way, here’s another small object with a story to tell, a rather handsome bell, mounted on a wooden base. The ‘new fire station’ referred to is the building on the corner of Peckitt Street and Clifford Street, before that a chapel. 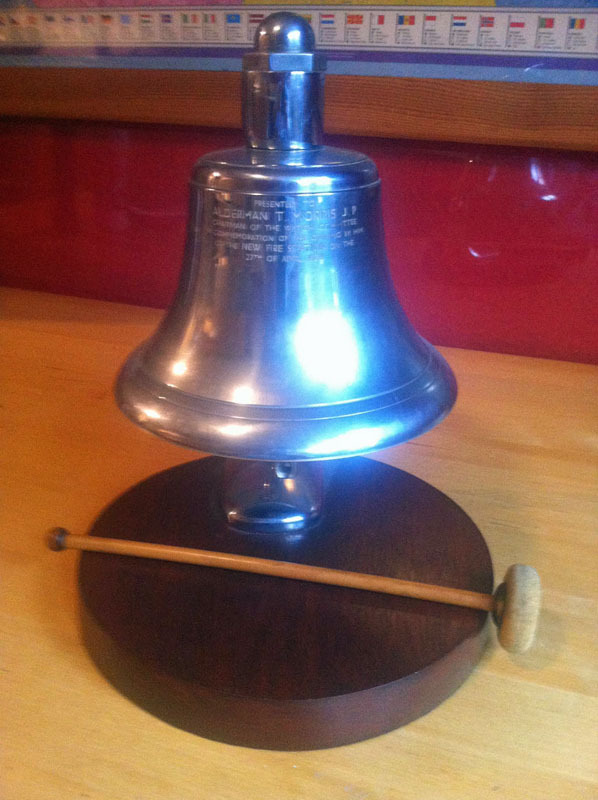 There’s more information about the bell in Nick Morris’s comment. But of course photos aren’t quite enough. 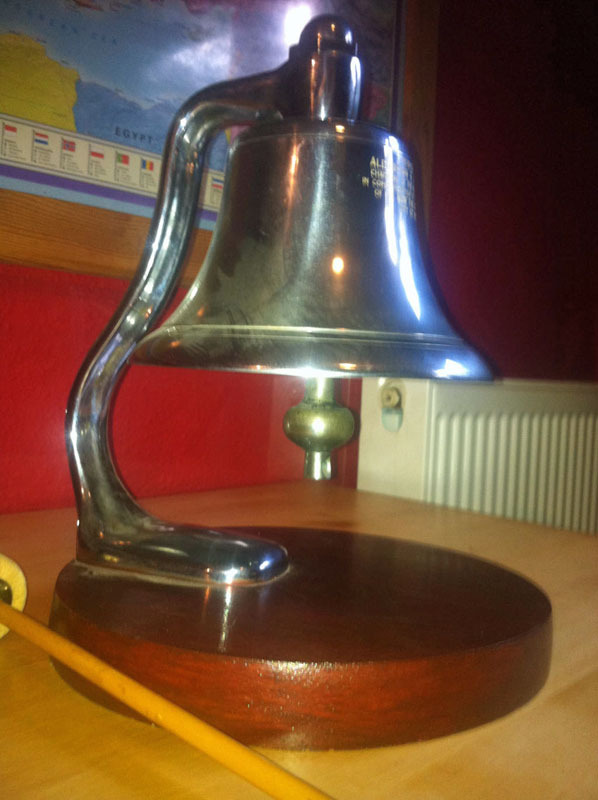 This is a bell, a fire engine bell no less, and we need to hear it doing its ringing thing. Here you go, professional quality too, not like my clunky hissy recordings. Wouldn’t be enough to clear a way through the traffic noise in the 21st century, would it. But presumably alarming enough back then. 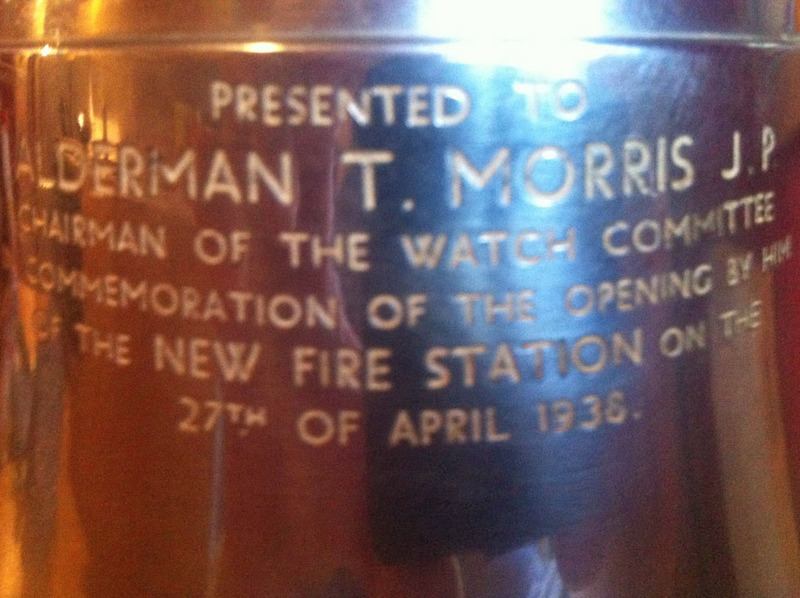 This nice old bit of film of 1930s firefighters (in Birmingham) gives an idea of those times. Thanks to Nick Morris for the photos and audio. By Lisa @YorkStories • 8 December 2014 Crafted, Histories, Sounds To link to this page's proper location please use the > permalink.